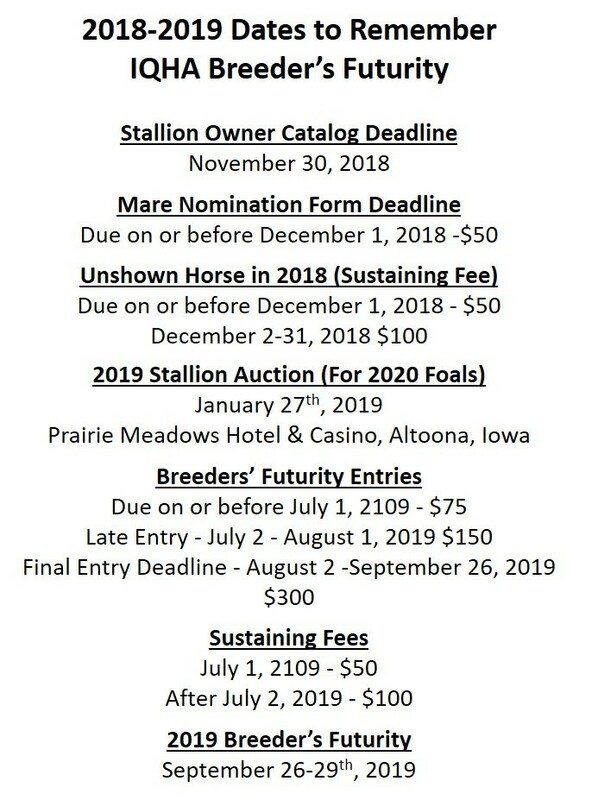 The 2019 Stallion Service Auction will be a live auction held January 27th, 2019 at Prairie Meadows Racetrack and Casino in Altoona, Iowa. 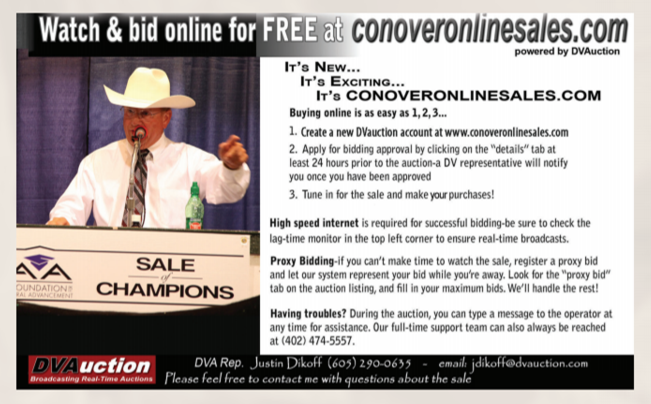 Online and phone bids will be accepted. Stay tuned for more information! All rules and forms for the Breeder’s Futurity may be found below. CLICK HERE to visit the Fall Classic & Futurity Page for show information. This is a large file so please be patient! 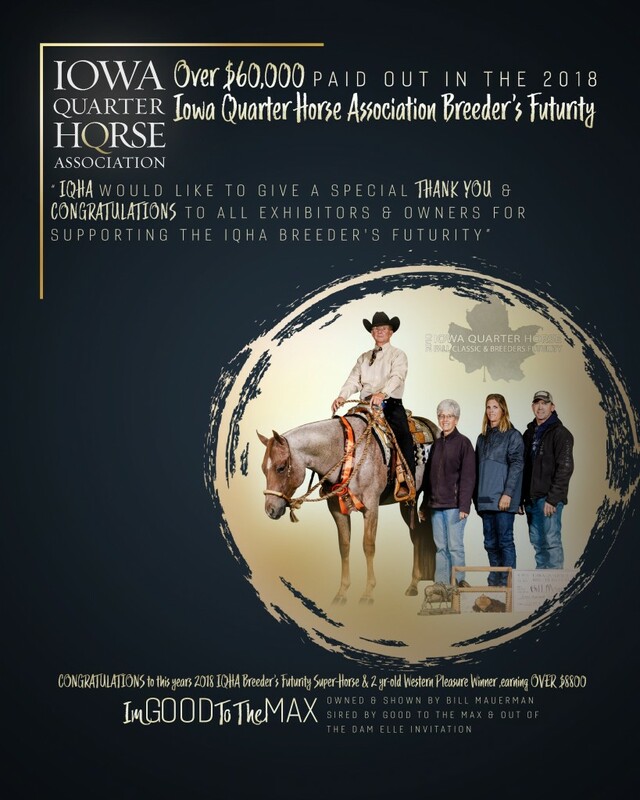 Iowa Quarter Horse Association is a code 504 revised domestic non-profit organization. To read a document - Click on the name of the document to read it now. To save a document - Right click on it to download it to your device/PC. Note: To view a document, the free Adobe Acrobat Reader must be installed as a prerequisite. If not installed, please click on the Get Adobe Reader icon to install the Acrobat Reader.